No matter how great your kitchen knives are, they all need some tender loving care from time to time. 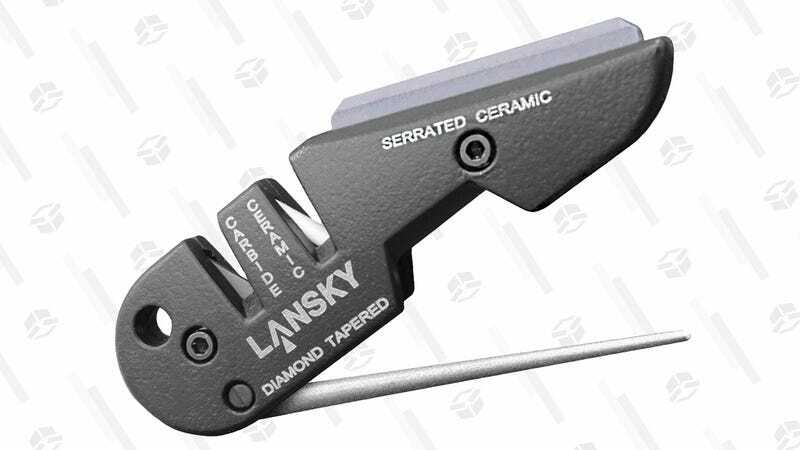 This $7 Lansky BladeMedic includes two v-sharpeners, a fold-out sharpening rod, and a ceramic sharpening edge for serrated knives, all in a handheld package that can fit into any kitchen drawer. This thing amazingly has a 4.6 star review average from over 3,000 customers, and it’s sold out within a few hours pretty much every time we’ve posted it at this price, so I wouldn’t wait.